Following an agreement with CCTV Sports Channel, the America’s Cup will be broadcast in China, the organisers announced today. Today’s announcement follows after other broadcast agreements were announced; NBC Sports is set to show the America’s Cup in the United States; French broadcaster CANAL+ will broadcast the America’s Cup to more than 50 international territories, including France, Monaco, and French-speaking Switzerland; and BT Sport will offer live coverage of all America’s Cup racing to viewers in the UK and Ireland. “CCTV Sports & Entertainment Co., Ltd. [CCTVSE], the only one wholly-owned subsidiary company under CCTV Sports Channel, has acquired the exclusive rights to the 35th America’s Cup in a groundbreaking agreement,” the announcement said. 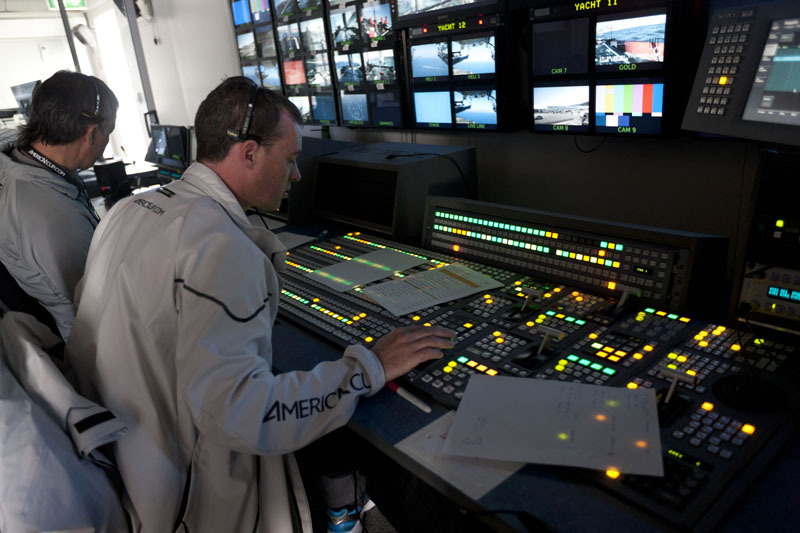 “CCTV, the flagship broadcaster in China will show racing from all stages of the event. “This is a tremendous opportunity for the America’s Cup, our partners and our teams, to demonstrate the excitement of America’s Cup racing to the largest national television audience in the world,” said Harvey Schiller, Commercial Commissioner of the America’s Cup. The racing will be broadcast on CCTV5+, which is China’s free to air sports channel, to a mainland audience. The 2015 America’s Cup World Series is the opening stage of the competition for the America’s Cup, and includes racing in Portsmouth, UK [July 2015]; Gothenburg, Sweden [August 2015] and Bermuda, the host venue of the America’s Cup [October 2015]. Massive. You cannot buy advertising like this. That’s pretty impressive exposure for Bermuda…. Oh good, maybe now Ewart will get his wish. This is absolutely stunning news. Cannot emphasize enough the potential impact – worth the $70 millions alone. But will we be able to view it on TV here in Bermuda? I’m sure you will be able to see it on NBC – you know the US network that has been announced as the US network that will carry it. Right… because it’s not like NBC (you know, the US network that has been announced as the US network that will carry it) doesn’t black out English Premiere League games. More than likely Cablevision will have it blacked out like so many other high profile sports packages. They’ll probably set up an America’s Cup channel and have you pay to watch it!